For the New York Giants, posting a losing record and missing out on the postseason is simply unacceptable. In the four seasons since they pulled off arguably the biggest upset in Super Bowl history with their win over the New England Patriots in Super Bowl XLVI, the Giants have a combined record of 28-36 with zero playoff appearances. As a direct result, the team will have a new coach and an overhauled roster for the 2016 NFL season. While their personnel improvements alone will likely make the Giants much more competitive in 2016, they still have to execute on the field if they are going to ultimately end their four-year postseason absence. Here is a look at five problems the Giants need to fix in order to return to the NFC Playoffs in 2016. In 2015, the Giants statistically had one of the most prolific offenses in the NFL. They ranked sixth in the league in points scored per game (26.3); eighth in the league in total offensive yards per game (372.3); and seventh in the league in passing yards per game (271.7). On top of that, their quarterback, Eli Manning, tied for the league lead in touchdown passes with 36. While their passing numbers were impressive, they were also inflated due to the fact that the Giants spent so much time playing catchup (on the scoreboard) last year. That said, the Giants will need more offensive balance in 2016 if they are going to end their four-year playoff draught. Before you blow this section off, just remember that punters are people too. Jokes aside, the Giants ranked 24th in the league in net punting, 23rd in the league in percentage of punts returned, and 22nd in the league in gross punting average in 2015. 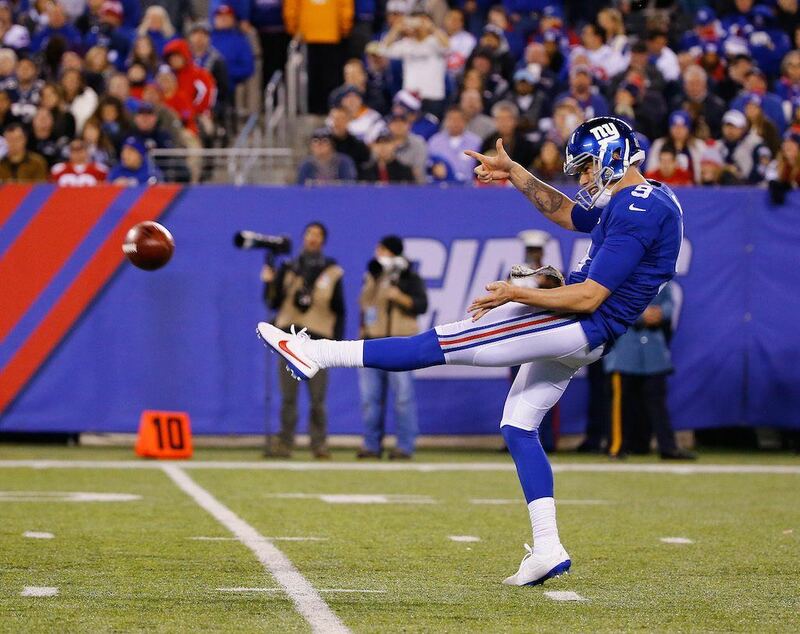 Knowing that a team’s punter largely influences those three statistical categories, the Giants will need their incumbent, Brad Wing, to be much better in 2016. How a team performs on third downs is typically a pretty solid indicator of how successful they will be in the win/loss column. So it’s easy to see why the Giants finished with a 6-10 record in 2015. They ranked 22nd in the league in third down conversions, finding success only 37.8% of the time. With their improved offensive line and upgraded personnel at their skill positions, we believe that the Giants will be better here in 2016. If not, you can expect to see their streak of missing the postseason to extend to five years. Simply put, the Giants were flat out awful on the defensive side of the ball in 2015. They ranked 30th in the league in points allowed per game (27.6); 32nd (last) in the league in total yards allowed per game (420.3) and passing yards per game (298.9); 24th in rushing yards allowed per game and yards allowed per rushing attempt (4.4); and 30th in the league in total quarterback sacks (23). Knowing this, it’s extremely easy to see why the Giants finished with a 6-10 overall record for the second consecutive season. These numbers did not slip past the Giants, either. 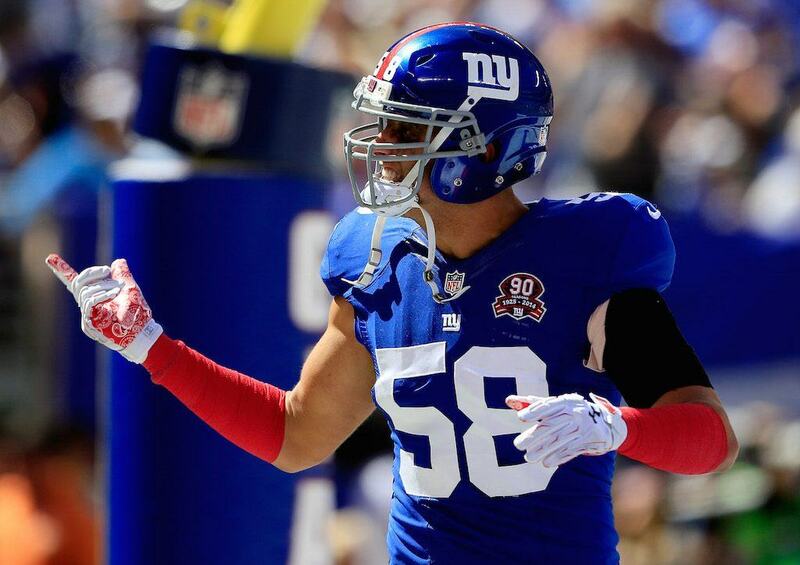 They spent huge money ($193.75 million to be exact) on free agents such as defensive end Olivier Vernon, defensive tackle Damon Harrison, and cornerback Janoris Jenkins — on top of using their first round pick on former Ohio State cornerback Eli Apple. Needless to say, this unit should be much better in 2016. If they aren’t, the Jerry Reese era in New York may come to an end next offseason. The Giants were somehow one of the highest-scoring teams in the NFL last year, despite their glaring red zone issues. They ranked 30th in the league when it came to scoring touchdowns in the red zone, reaching the end zone just 44.44% of the time they had the ball inside their opponents’ 20-yard line. To put some perspective on that statistic, the only two teams in the league that were worse than the Giants were the San Francisco 49ers and the Cleveland Browns. This kind of goes without saying, but the Giants have to be substantially better here in 2016 if they want to return to the playoffs. Statistics courtesy of ESPN.com, Pro-Football-Reference, and TeamRankings.com. Salary cap data courtesy of Spotrac.